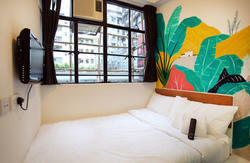 Yesinspace is a newly renovated Hostel with fully finished facilities near to Mong Kwok and Olympic MTR station in Kowloon Side. The location is about 8-10 min. walking distant to Mong Kok or Olympic MTR station in Kowloon Side, or only 2 MTR stations to Central. 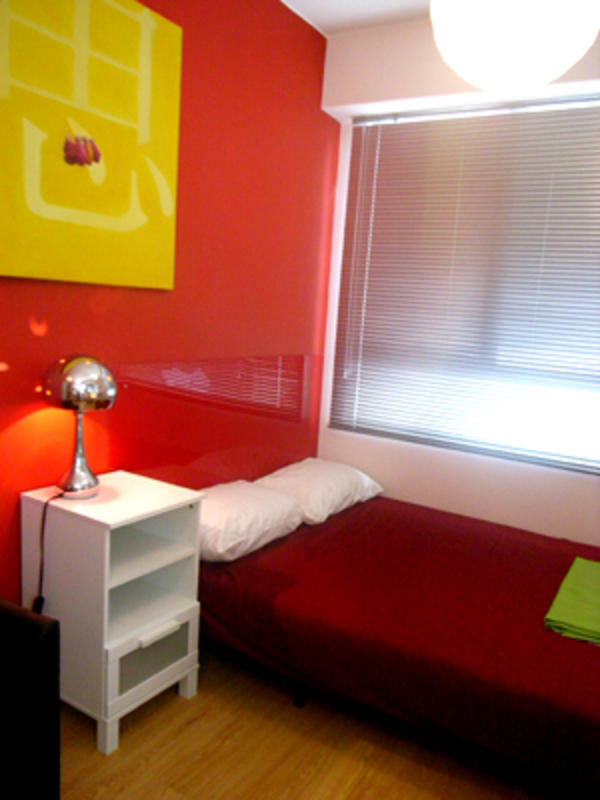 The apartments/studios provide single/double/twin studio, 1-2 bed rooms' serviced apartments. All the apartments and studios provide free access of WiFi, 3-4 supermarkets around the locations. *No kitchenette will be provided in single studio. Remark: Check in time up to 9:00PM. There will be HK$100 additional charge if the check in is later than 9:00PM. Please give us advance notice if later check in. Get off at Mong Kok Station (MTR Tsuen Wan line) with Exit A1 (Nathan Road), then take your first left and walk towards the main intersection that is Mong Kok Road. Then turn left again onto Mong Kok Road. You will walk along Mong Kok Rd for about 3-5 min. You will see a highway bridge above the Tong Mi Road. You will cross the Tong Mi Road under the bridge. , veer right and continue walking for another 2-3 min., you will see the Tea House Hotel on your right, opposite from a football playground. Yesinspace is just next to Tea House Hotel. A. Take airport shuttle Bus no.E21, you will get off at Ming Kei College Station on Cherry Street. Standing with your back to the College facing the street, take a right to find Oak Street. Then walk along Oak Street for about 2 mins. Yesinn House is at the junction of Oak Street and Anchor Street. The whole journey will take around 60 mins. and only cost HK$14. B. Take AirBus no.A21, get off at No.6 Station- Argyle Centre (Nathan Road). 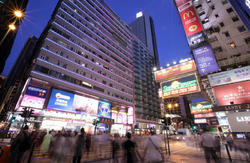 You will walk along Mong Kok Rd for about 3-4 min. You will see a highway bridge across the road. Use the large pedestrian crossing to cross the road under the bridge; once you have crossed the intersection, veer right and continue walking for another 2 min., you will see the Tea House Hotel on your right, opposite from a park. Yesinspace is just next to Tea House Hotel. C. Take Airport Express train to Kowloon Station, change to taxi. The whole journey will take about 40 min. and will cost HK$90 by train and HK$45-50 by taxi. D. Take Taxi, get off at 10, Anchor Street, Tai Kok Tsui. The whole journey will take 40 mins and will cost around HK$250-300. Remark: Check in time up to 9:30PM. There will be HK$100 additional charge if the check in is later than 9:30PM. Please give us advance notice if later check in.